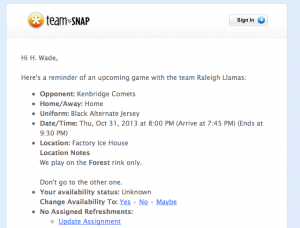 As a beer-league ice hockey player and assistant coach (and team organizer) for my daughters’ soccer teams, I’m not just TeamSnap’s CTO – I’m also a frequent TeamSnap user. 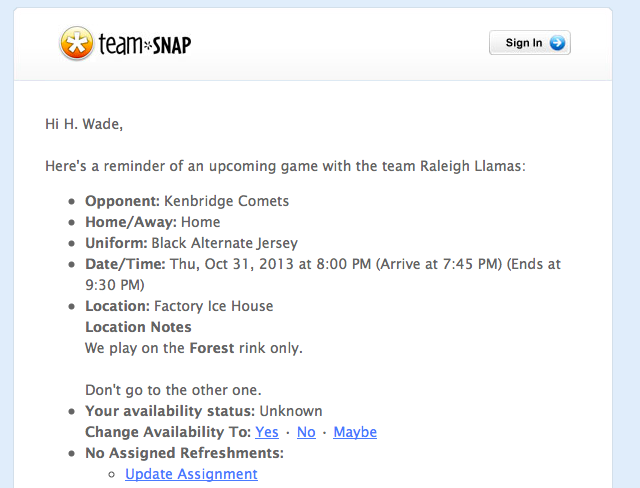 So I’m thrilled to announce that we’re adding a new feature to TeamSnap that will make my life much easier, and hopefully yours as well – the ability to specify uniforms for games. 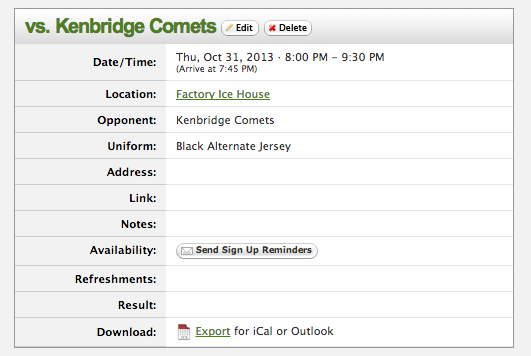 I know that one of my biggest pain points in organizing my teams is letting people know which color uniform to wear. Even if you put that information in the event notes, or have a system like “we wear orange for home games, but white for away games”, you’ll still end up with people appearing at the game wearing every color of the rainbow. There needs to be a clearer way, and one that works for both the recreational team as well as the complicated travel teams. With this new feature, we feel like we’ve made that happen. To start with, if your team (like my daughters’ rec teams) has a very simple uniform setup where they wear one color if they’re the designated “home” team and another color if they’re the designated “away” team (or the same color for both), you can set up those defaults in the Manager tab. 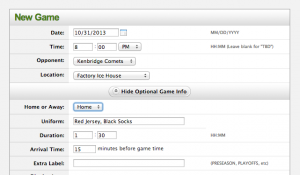 Just open up the Manager tab, go to the “Team Settings” area, and you should have the ability to see and set default uniform colors that correspond to the Home or Away setting for your team in a game. You can edit those, or leave them blank. For teams that don’t have set home/away colors (like the travel teams that have a different kit for every game or tournament), you’ll likely leave that blank – it’s not required to set them. Then, when you go to create a game, you will have the option to set the uniform for that game. If you have set up default home/away choices, those choices will automatically get filled in as you choose “Home” or “Away”. If you do not have defaults set up, nothing happens – you just get a blank box to use as you see fit. If you don’t have default choices, or you need to override the default for a particular game, you can just put the uniform choice directly into that box. 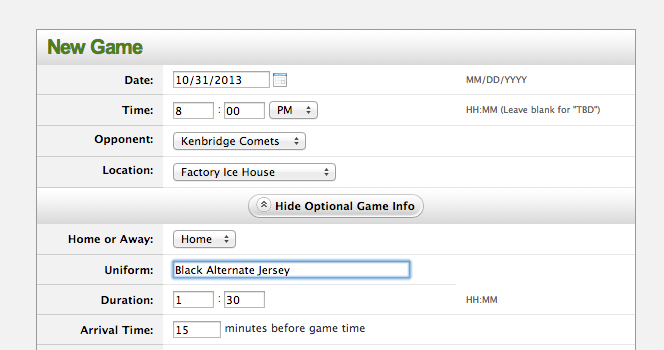 Once you set the uniform, it will show up in the game detail screen, along with the reminder emails that go out to your players. Last, but certainly not least, this information is also available on our iOS and Android apps. Android users, you get a treat – the uniform support is available in the version of our app on the Google Play store right now! iOS users, support will be coming for you in the version that is currently awaiting Apple’s approval (should be available in early November at the latest). 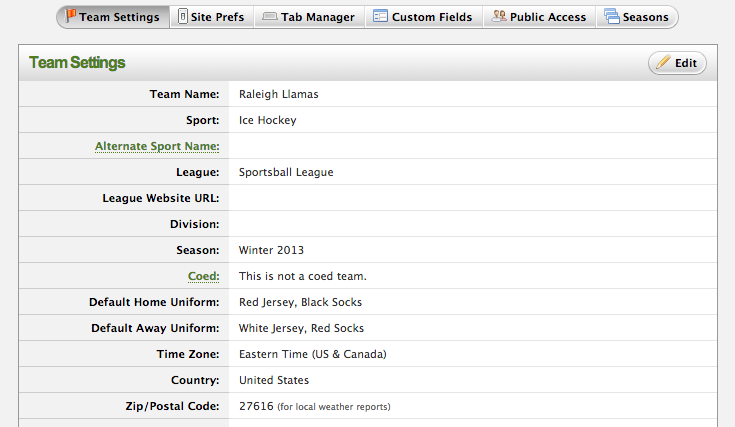 We hope you enjoy this new feature, and that it makes your team management life even easier! Let us know what you think!